The Bill and Joel Morning Show, with Bill Maine and Joel Williams, has been a trustworthy staple for longer than I can remember on WDUN Radio in Gainesville. I felt a bit of sadness to hear that Joel Williams has taken “another opportunity” as they say. WDUN in Gainesville is a big radio fish in a small town. I’ve been listening for 30 of their 70 years on the air. Joel Williams has worked there since 2002, after a previous stint for a couple of years. Joel and I became friends over the years, and I co-hosted Morning Talk with him a few times. He’s a good man. On Tuesday, April 23, 2019, Joel and I spoke on the phone. 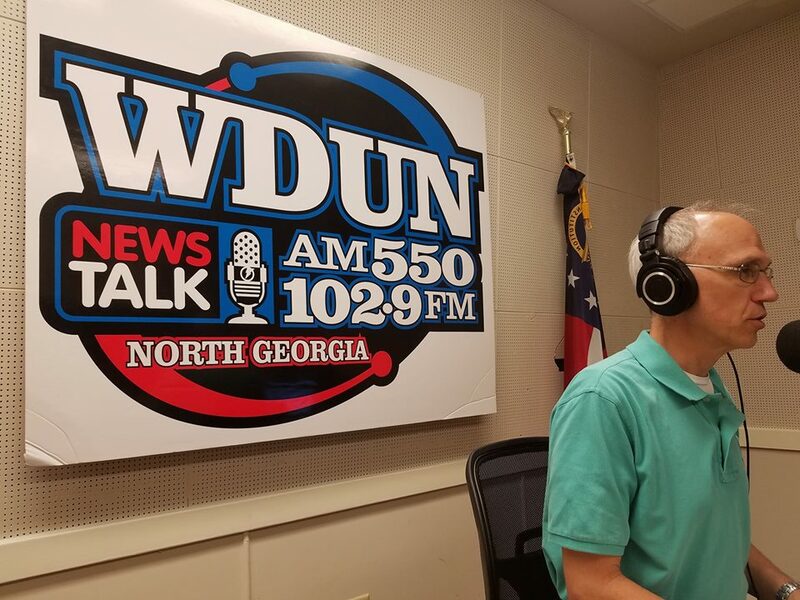 I’ve worked for a half-dozen radio stations over the years, so I wasn’t shocked to hear that he wasn’t at WDUN anymore. Radio guys have an old joke: “What do you call a broadcaster with a mortgage?” The answer? “An optimist.” I was thrilled to hear that Joel departed without the rancor that often splits up such great teams as Bill & Joel. Joel continued to speak highly of Bill and everyone at WDUN, which is no surprise to anyone who knows Joel and his Christian character. After much consideration and what he called “confirmation after confirmation,” Joel will soon be working with WCON-FM in Cornelia. We wish him well. His wife, BJ, will remain at WDUN as their primary newscaster. That’s good news. Joel told me the new job at WCON “just fit.” We can only hope that he will be as trusted, appreciated and respected by that audience as he was for so long at WDUN. His departure is so unlike my experiences in radio. At one station where I was hired, I inquired about the previous staff. I was told the former program director (PD) held a meeting with the entire on-air staff. The PD sadly told the announcers that if their names weren’t on the list posted in the control room that — unfortunately — they were fired. Then, he left the building. The announcers quickly made their way to look at the list of who didn’t make the cut. What was on the wall? A blank sheet of paper. They’d all been “blown out” in radio lingo, with the PD safely driving down the road. Thankfully, the folks at WDUN are far more gracious when friends depart. I won’t stop listening to WDUN, although I might give WCON a try. Things change. Memories fade. People come and go. To Joel Williams I want to say: thank you. You were a friendly voice every day in every kind of weather and during every kind of storm. Well done, thou good and faithful servant. God bless you, sir. We wish you well. Dahlonega doesn’t have much time. 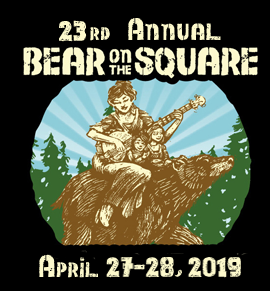 If they don’t do something soon, the town will be overrun by pleasant people who love the coolest town in Georgia — especially if they experience the unique friendliness of the 2019 Bear on the Square Mountain Festival the weekend of April 26th. Maybe we should put up signs on Georgia 400 for Atlantans who venture less than 50 miles north from the City of Darkness and approach Dahlonega. Oh, well. At least we’ll be able to meet up with kith and kin in Dahlonega for good old mountain music, gospel singing, good deals on leather goods, food that should kill us before the second bite (but tastes so good, it’s worth it) and selling trinkets to Yankees. Please Note: Yes, you may charge every person who studies your arts & crafts, takes pictures, puts stuff back in the wrong place and walks away saying, “I’ll bet we could make those out of old Starbucks cups!” But only if you say, “Well, bless your heart” as they depart. Thank you. Seems like we’ve had Bear on the Square Mountain Festivals longer than just 23 years because it’s hard to remember life without them. You might have to park on one end of town or the other and work your way toward the middle. That’s the beauty of having this spectacular event on two days! You’ll have time to see almost every vendor. If you don’t give up, you’ll even get all the way to the iconic Dahlonega Square for some chocolate, ice cream, sandwiches and more leather belts. If you don’t attend the Bear on the Square Festival, you might as well live in one of those square flat states in the middle of America where the biggest excitement is corn. It’s even worth giving up life on Lake Lanier … at least for an afternoon or two. Invite your family from around the nation to share the joy of Bear on the Square with you. If they fall in love with North Georgia and can’t stay away, just mention that they can always come back next year to the South’s best party since Scarlett O’Hara toyed with her suitors at Tara. There are two secrets you learn after you close on your lakeside dream home. One is: you get free geese when you buy a house on Lake Lanier. The other secret? Every home on the lake comes with a neighbor whose sole purpose is to fire up a leaf blower before dawn every weekend. Sorry, there’s not much you can do to put an end to either annoyance. Our pals with the Georgia Department of Natural Resources’ Wildlife Resources Division can’t do anything about your neighbors, but they have some suggestions on curbing the Canada goose issue. 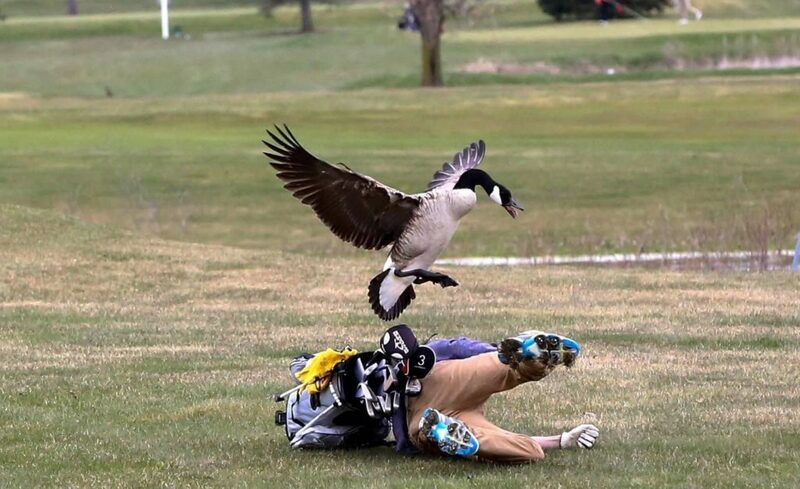 State Waterfowl Biologist for the Wildlife Resources Division Greg Balkcom says, “Geese that have adapted to people, either because they are being fed or because they are so close to humans on a daily basis, can become aggressive.” Ummm. We already know that, bro. “When you have resident geese nesting near developed areas like office complexes or apartment buildings, the geese will defend their nest against all intruders, and that may include chasing or charging at people.” Yup, we’ve learned that lesson too, Greg. In addition to tips gleaned from Caddyshack, here are some ideas from the folks at Georgia’s Department of Natural Resources’ Wildlife Resources Division, who get paid to help us with such things. 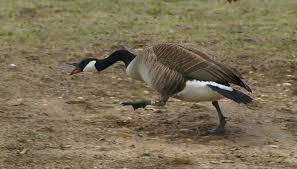 Now is the best time to act because geese are just beginning to select their nesting sites. Scaring the geese away now will reduce problems in the future. No, geese aren’t afraid of you, but we have to write something. Landowners who don’t want geese on their property should first try a variety of harassment techniques, including: chemical repellents, mylar balloons, wire/string barriers, and noise makers. These methods are proven to help reduce goose problems. However, they do require consistency from the property owner and are not always 100% effective. Moving to a desert is always an option. At 11 o’clock each evening, ask yourself if you know where your geese are and what they’re doing. The U.S. Fish and Wildlife Service allows for reducing goose reproduction through nest and egg destruction OR egg addling or oiling, which prevent the eggs from hatching. Permits are available at the U.S. Fish and Wildlife Service’s website, in addition to information on addling or oiling the eggs or destroying the nests, and when each method may be appropriate. No, they can’t help you talk your husband into this egg addling and/or oiling. Maybe ask Mr. Leaf Blower when he stops to refuel? There might not be a law against herding geese onto your neighbors’ property. Just choose someone who never walks barefoot and who doesn’t own a leaf blower. And never let geese know where you live. 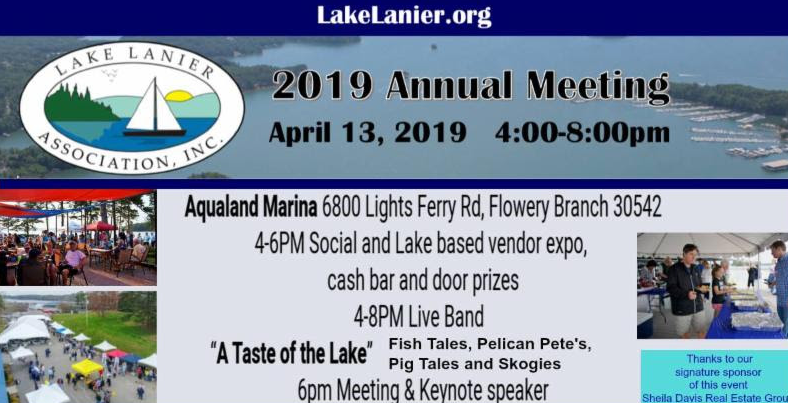 The Lake Lanier Association’s annual meeting will take place at Aqualand Marina on Saturday, April 13, 2019, rain or shine! 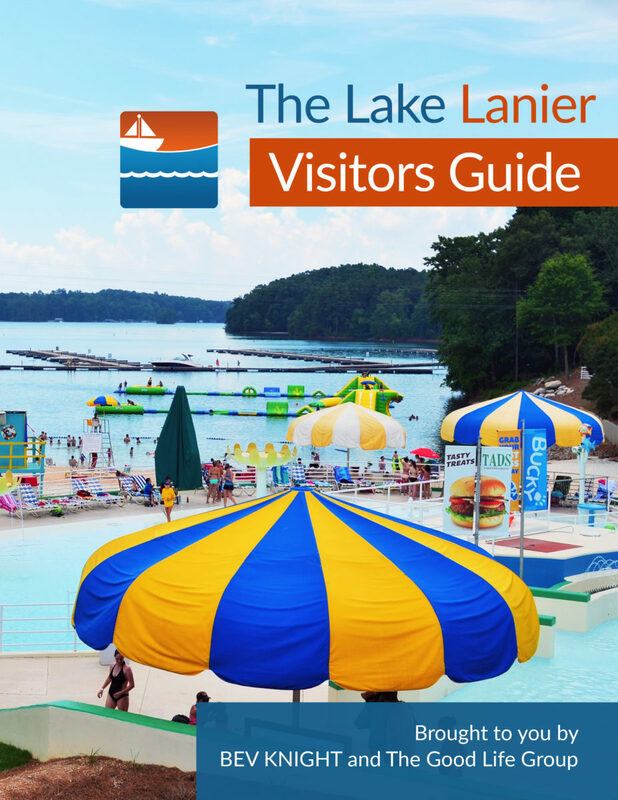 Don’t let a few raindrops in the forecast keep you from this time of fun, a frolic or two, and vital information for everyone who loves Lake Lanier. If you arrive by boat, please park at the courtesy slips by the gas dock and walk up to the parking lot. We will be running a golf cart shuttle service from that parking lot to the meeting area. If you arrive by car, follow the signs for parking. This is a RAIN OR SHINE event. We will have tents over much of the area just in case we get a pop up shower. 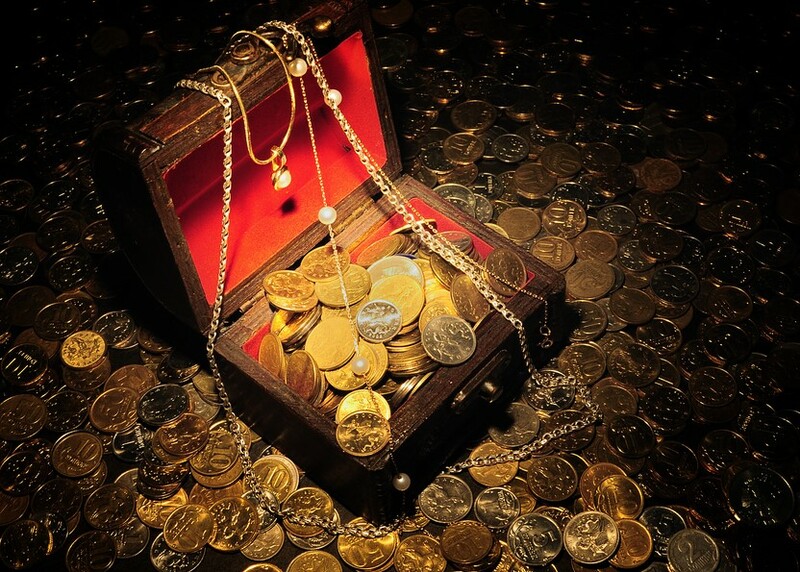 There is no cost for LLA members to attend. Non-members are welcome to attend and encouraged to join at the meeting. The event starts at 4:00 PM with the “Taste of the Lake” food samples. Our official business meeting will begin at 6:00 PM. There will also be live music, a cash bar and a vendor expo. Hope to see you there! Lake Lanier Association’s annual meeting has a number of purposes. Sure, it’s the perfect time to meet and greet old and new friends. It’s the perfect time to hear all about what’s up with the lake. It’s also the perfect time to become a member of the non-profit Lake Lanier Association (LLA). LLA isn’t non-profit in the same sense as writers, artists and everyone with a philosophy degree. No, their goal is to benefit the public and to represent us all — not just The Lake People — when we need advocacy with those who rule our beloved waters. Even if your big yacht is in the shop and you must cruise to the meeting in your spare cabin cruiser, you’ll be as welcome as anyone else — even those of us who are without so much as a dingy! Come say, “Ahoy!” on Saturday, April 13, 2019 from 4 PM until 8 PM (at least) at Lake Lanier’s Aqualand Marina. In 2018, 600 stalwart sailors attended LLA’s annual meeting. More would have come but it rained. Anchor your spot by pre-registering, please. There will be food from Skogies, Fish Tales, Pelican Pete’s and Pig Tales! Come hang out with Lake Lanier’s friendliest people and eat well too. Some sailors believe that eating otherwise fattening food near a lake washes all the calories away. 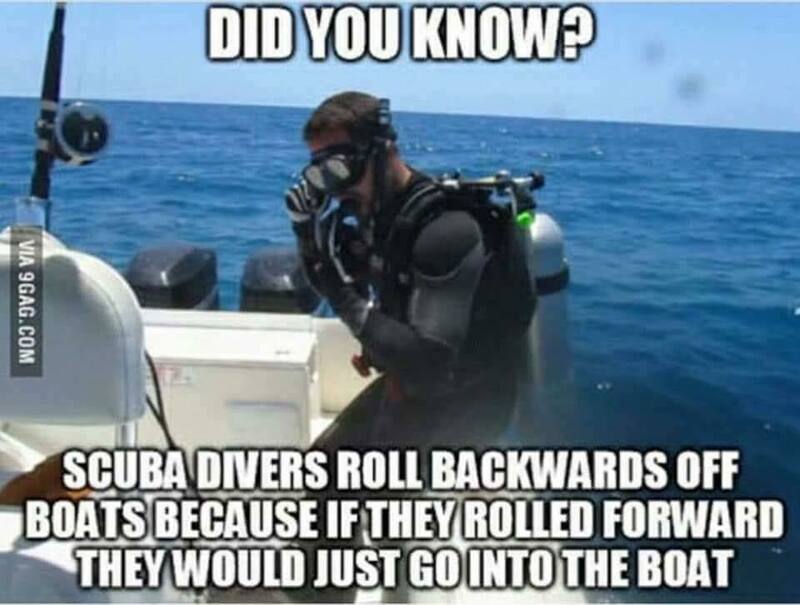 Test this theory for yourself! After you’re diagnosed with Type 2 diabetes, sweet people think you need a copy of Diabetes for Dummies for your birthday (Suzannah). You learn to prick your few fingers until they bleed enough to take “readings.” You either give up sweets or you get worse, and you figure you’ll never be able to have a good meal at a good restaurant ever again. 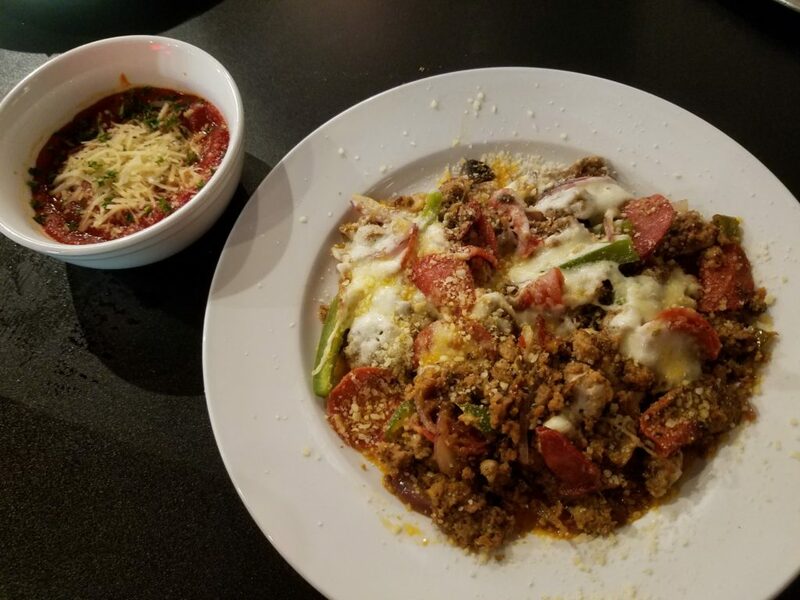 Until you discover Gustavo’s Italian Eatery in Dahlonega. Dear friends (defined as “those who didn’t give me Diabetes for Dummies on my dang birthday) invited me to dine with them in the paradise known as Dahlonega one fine Friday evening. They offered to buy my meal, I pretended to protest (but didn’t fool them for a moment) and we quickly agreed on having Italian for dinner. Not exactly the perfect choice for a diabetic meal, I thought. Suzannah looked over the menu and told me that I could get a nice salad, with restrictions. I immediately figured something like “Honeymoon Salad” on the menu. You know: lettuce alone without any dressing. Hey, it didn’t matter. Not like missing one meal would hurt me; besides, I was going to be with friends and we were going to have a good time. Our server knew instantaneously that I “was going to be trouble.” I saw that look in her eye. So, I began by saying, “Before I order, please let me give you a dollar.” No, that didn’t work as well as I had hoped. Finally, she accepted it, reluctantly. By then we both knew that a twenty would have worked best. I told her the sad tale of how I now have diabetes — as my dining partners’ eyes twirled like fidgit spinners — and how I wasn’t trying to be a jerk (too late) and how would they MIND serving me stromboli not wrapped in bread. Thankfully, I survived the server’s initial Death Rays. Took her only a moment before she said her dad has diabetes. With a determined look (that a buck couldn’t buy) she said that — in spite of how The Kitchen hated changing any orders for anybody, ever, under any conditions — she would plead my case. Because of her dad. Bravery in action. A while later she returned, battle worn. If I promised never to tell anyone, and if I never returned, they MIGHT give me an unwrapped stromboli ONCE. My friends were served a giant Calzone that should have been billed as the Calzone That Devoured Cleveland. Could have fed an army, with almost enough to share with Suzannah (except for that “birthday present”). After our meal, I asked to speak with the manager. Robert happily came over, ready to have someone chew him out because [insert stupid reason here about why cheap, critical people should not have to pay for the entire meal they enthusiastically devoured]. Told him there are lots of diabetics who hate going out for meals because we hate having to watch other people eat what we used to eat. But … my low-carb GIANT stromboli was the perfect solution for my needs. (Your diet might vary.) Told him I thought it was a “win-win” for everyone, if The Kitchen would simply slap the stromboli innerds into a dish and serve it. Robert the Manager kindly agreed. No, unwrapped strombolis will not appear on the menu at Gustavo’s Italian Eatery at 16 Public Square in Dahlonega. No, you won’t have to bribe the servers with a dollar (not that it worked) to order it. 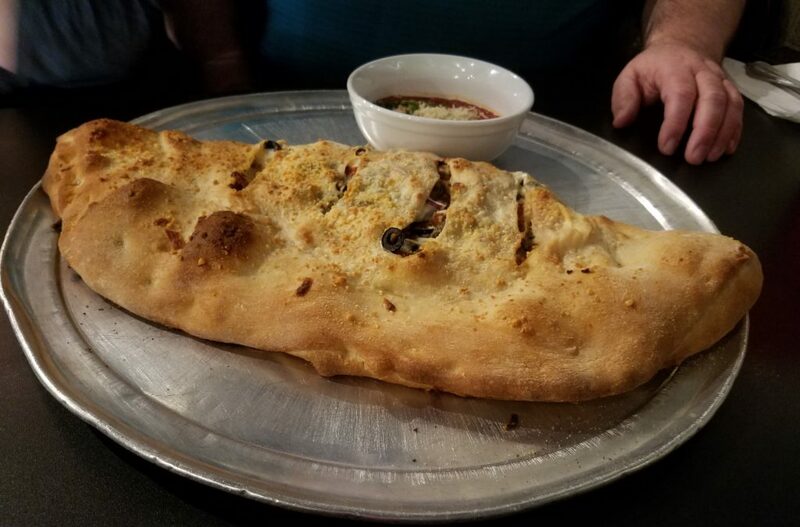 Just mention that you read a review saying they’ll let you order an unwrapped stromboli … and that I couldn’t put it on the internet if it weren’t true. On Dahlonega’s Square next to the Dahlonega General Store. If you’re Director of Golf Mike Miller at Lanier Islands, being named the #2 public, semi-private and resort course in Georgia by GolfAdvisor.com for 2018 is quite an honor, but he wants to be #1! 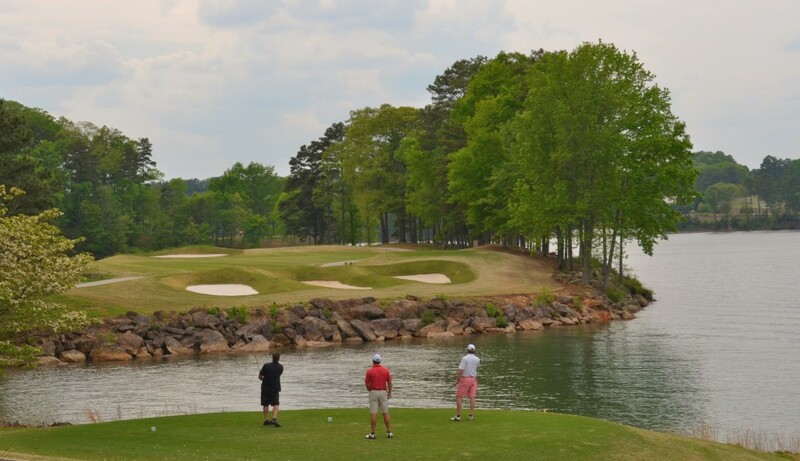 No matter what, you can be assured of award-winning golf at Lanier Islands. Instead of resting on their glorious greens, Mike and his team have set their sights on earning that #1 spot for 2019. According to Lanier Islands, the online tee-time booking agent Golf Advisor examined 4,742 reviews of almost 200 courses to determine their list. To be designated #2 in the state out of nearly 200 courses, this speaks volumes for our staff here at the golf course – from our cart staff, starters and rangers to our pro shop staff and beverage cart attendees – all of whom interact with our guests each visit in an effort to enhance their experience,” said Miller. “I think it also says a lot about our superintendent and golf maintenance staff members who work behind the scenes to keep our course in top-notch shape year-round. We take our online presence and the feedback we receive from guests to heart and stay on top of the feedback we receive. These rankings are based on our guests’ feedback, which makes it all the more special. I find it incredible that 2018 was the third wettest year in the history of the state, and yet we still managed to have an amazing year at Legacy Golf Course. We are looking at every opportunity we can to make 2019 even more amazing as we vie for the #1 spot next go-around. We commend our friends at Lanier Islands for earning this prestigious honor, in addition to their accolades for spectacular wedding locations and personalized wedding services. The name is a bit different and the track is better than ever as racing begins at Michelin Raceway Road Atlanta in Northeast Georgia. The marriage between Michelin Tires and Road Atlanta was announced in January 2019. 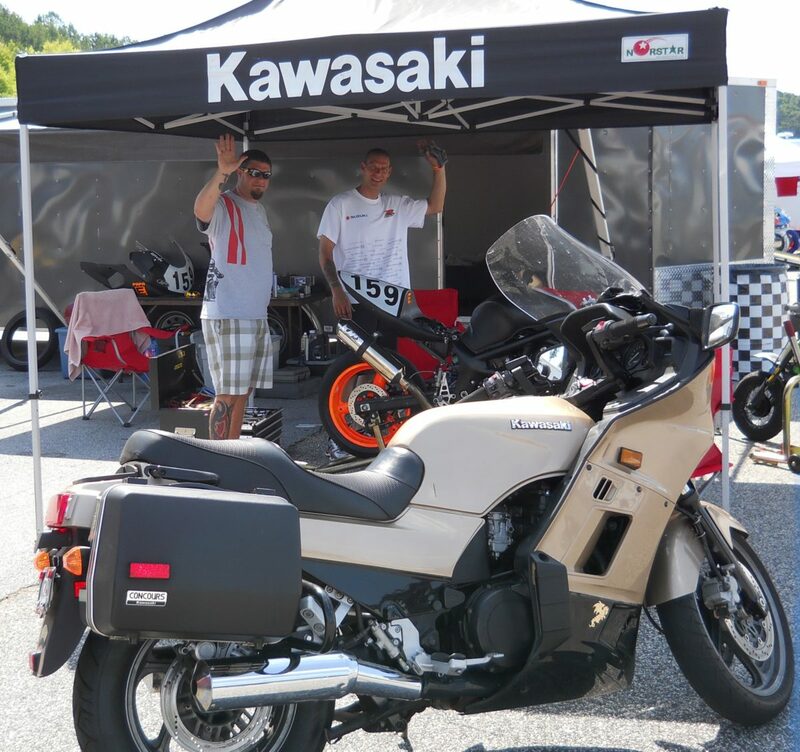 Their union will be consummated the weekend of April 5th when the MotoAmerica Championship and the Suzuki Championship roll around the dozen twisty turns and steep elevation changes at Michelin Raceway Road Atlanta. Can’t make the motorcycle races? Pffft. Not a problem. Come to the Mitty races instead the weekend of April 26th. Michelin’s involvement as the Official Tire Partner of Road Atlanta continues in 2019, giving them total naming rights of the facility, the new tower and the tire category.